Urban renewal specialist Property Solutions will deliver much needed new apartment stock to Brisbane’s Red Hill after securing approval for a $13 million boutique project. 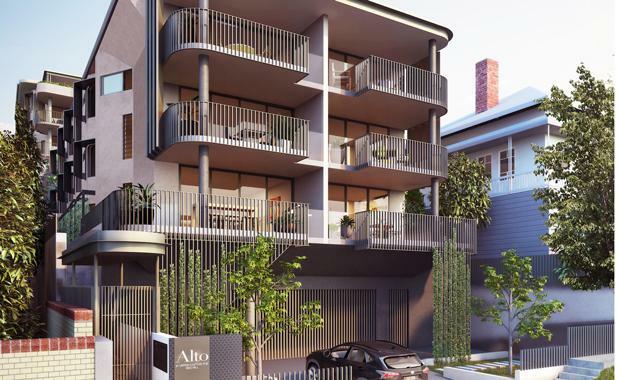 The art deco-style luxury development, Alto & Tenor, will bring 19 apartments to the inner city suburb’s undersupplied unit market. Property Solutions sales and marketing manager Elisa McMahon said the company had identified the potential of Red Hill’s tightly-held property market. “The new apartment pipeline in Red Hill is extremely low and there are limited multi-residential development opportunities, largely due to zoning restrictions and the protection of character housing,” she said. “Unlike some other areas of inner Brisbane new product in Red Hill is scarce, so there’s an opportunity for us to satisfy unmet demand. Ms McMahon said a recent Urbis analysis of the Red Hill catchment revealed rental price growth of up to 8.8 per cent in the past decade. She said new unit developments had achieved a rental premium of 37 per cent over existing stock in the area while Red Hill apartments commanded rents up to 18 per cent above the Brisbane LGA. It will comprise a mix of one, two and three-bedroom apartments, most with spectacular CBD views, in two buildings. Demolition of the existing building on the site will start within weeks with construction to start immediately after. The apartments will be priced from $455,000. Property Solutions has been established in Brisbane for 25 years and is a market leader in urban renewal projects across Southeast Queensland, with a workbook of more than 150 completed projects. The group is responsible for a number of Brisbane’s major mixed-use development projects, including the acclaimed Centro on James Street project - regarded as one of Brisbane’s most successful urban renewal projects - the $350 million SW1 development in South Brisbane and more recently The Barracks, a $150 million mixed use and entertainment precinct in Paddington. Property Solutions’ current projects include Illumina in Toowong, Circa Nundah Village and Arbour on Charlotte in Chermside.